After successful web series like Man's World and Bang Baaja Baaraat, Y films is back with another one of a kind web series and this series takes the audience to a place which most men don't go to. The Ladies Room! The comedy is directed by Ashima Chibber, whose directorial debut “Mere Dad Ki Maruti”, was a commercial hit. It’s a story about two best friends with questionable life skills boldly going where no man has gone before – the women’s washroom. 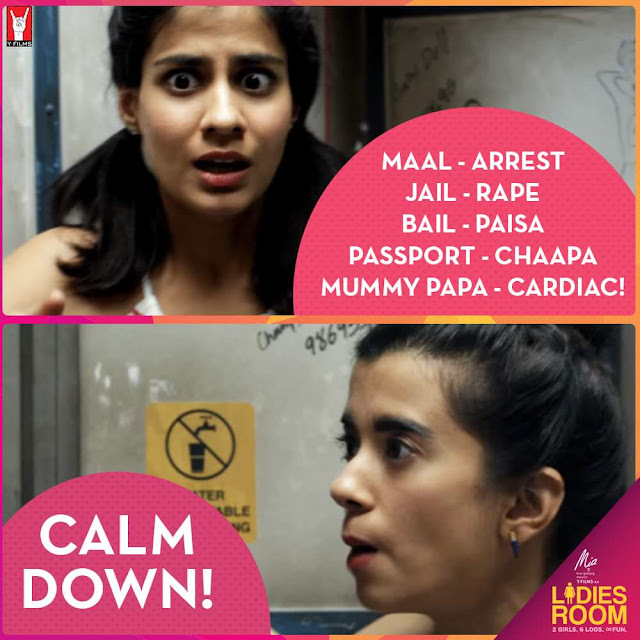 “Ladies Room” takes place in six different loos as characters Dingo and Khanna try to survive one disaster after another, and holds the singular feat of never showing any men in their entirety.